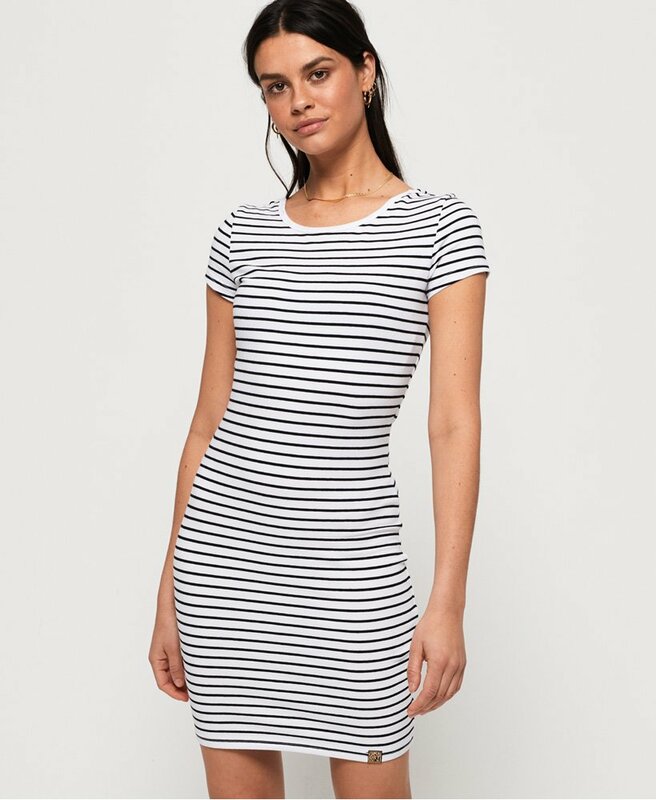 Superdry women's Callie knot mini dress. This mini dress is a must for your off-duty wardrobe, featuring short sleeves, a bodycon fit and knot detailing on the back. The Callie knot mini dress has been completed with a logo tab on the hem. For easy everyday styling, pair with a denim jacket and trainers.